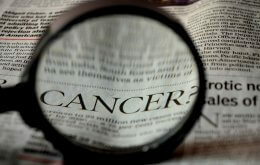 Currently, patients with non-small cell lung cancer receive erlotinib after chemotherapy and other drugs have failed. But erlotinib will only shrink the tumour about 10 per cent of the time. In addition to helping doctors select the best drug treatment for patients, tests such as these will reduce exposure to medical side effects like rash and diarrhea caused by erlotinib, and eliminate financial burdens for a drug that may not benefit the patient. Newer drugs such as erlotinib can cost thousands of dollars for a month of treatment. The current research is a follow-up to an erlotinib clinical trial between 2001 and 2005 at the Queen’s University-based National Cancer Institute of Canada Clinical Trials Group (NCIC CTG), which led to the approval of erlotinib in the treatment of non-small cell lung cancer. In addition, blood and tissue samples collected in the original trials were used by David Carbone of the Vanderbilt-Ingram Cancer Center in Nashville to validate the blood tests. NCIC CTG and Queen’s researchers also did the statistical analysis. Professor Carbone presented his results on April 30 at the European Lung Cancer Conference in Geneva, Switzerland. Lung cancer is by far the deadliest form of cancer. There are 24,000 new cases of lung cancer diagnosed every year in Canada and 21,000 deaths. To arrange an interview, please contact Michael Onesi at 613.533.6000 ext. 77513 or michael.onesi@queensu.ca, or Kristyn Wallace at 613.533.6000 ext. 79173 or kristyn.wallace@queensu.ca at News and Media Services, Queen’s University. Attention broadcasters: Queen’s has facilities to provide broadcast quality audio and video feeds. For television interviews, we can provide a live, real-time double ender from Kingston via fibre optic cable. Please call for details.